As experts in real estate operations and development, Thornton & Associates can be counted on for our broad expertise and historical perspective. In an increasingly complex real estate environment, Thornton & Associates offers a full spectrum of real estate capabilities. 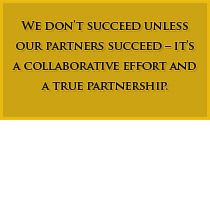 The combination of our skills and experience allow us to generate results for our partners.